IDC organizes and hosts a variety of workcamps, events, and workshops. These activities are in line with our goal to promote sustainable development, intercultural awareness, international mobility, and ecological engagement. 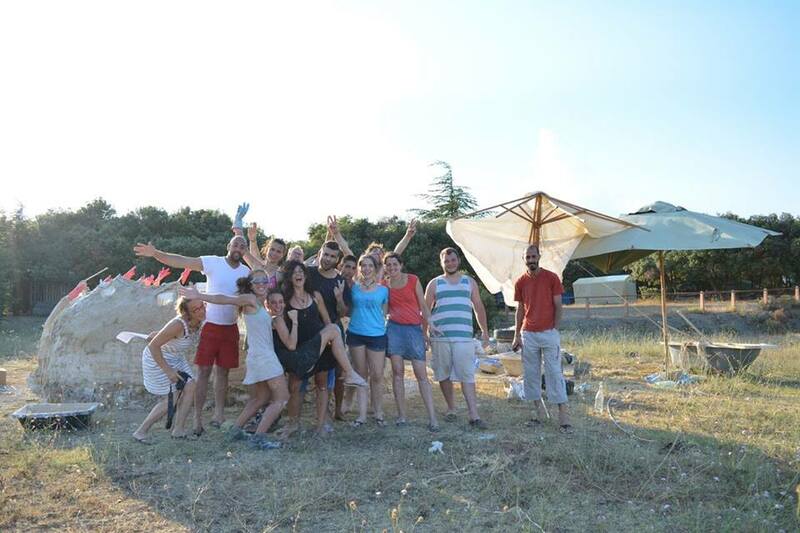 In 2016 IDC organized and hosted a summer workcamp on eco-building in the campsite. Take a look at the videos below! Click here to see the 2017 workcamp. The aim of this project was to learn how to create a round eco-building inspired the ideas of Evelyne Adam. The participants used natural materials such as lime, clay and hemp. There were 16 participants from Algeria, France, Moldova, United Kingdom, Germany, Turkey, Serbia, Italy, and Spain. They were mainly young adults from varying backgrounds. The participants provided support to Initiative et Développement Citoyen (IDC) in the Campsite Le Belvedere in Lastours, South-West of France, with a great view on the four castles of Lastours. 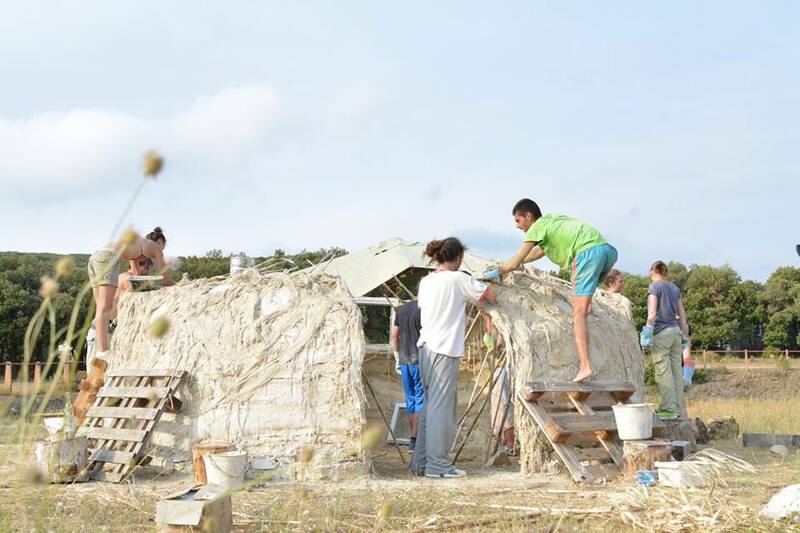 In this workcamp they were able to build a beautiful, durable, long-lasting natural structure. Hemp fibers are soaked in lime or soil and then placed carefully on top of each other to build the walls. To keep the alignment of the walls, hemp fibers were be placed between hemp ropes spaced 20 cm between each other. During these 10 days the participants lived in community: sleeping, singing, dancing, eating, cooking and working together. It was a pleasure for the trainer, Elodie, to support and guide our participants in the development of this project. They worked around 7 hours per day. The workcamp activity was not at all physically demanding, but they brought along some of their creativity and inspiration!